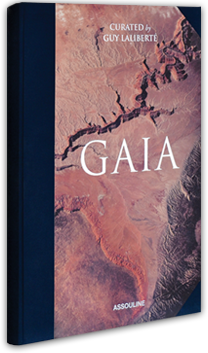 GAIA, a creative project designed by Guy Laliberté for One Drop, is a body of work bearing witness to the beauty and fragility of Earth as seen from the universe. 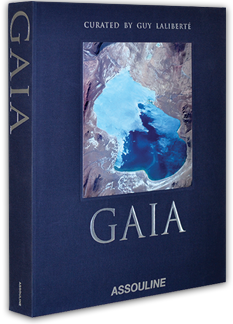 All proceeds from GAIA sales will go directly to fund One Drop's safe water access projects around the world. 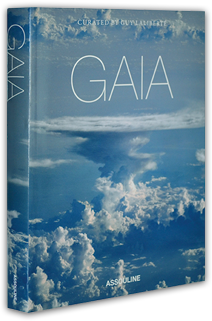 The GAIA books are available in three editions. For every book purchased, 7 people’s lives will be changed forever in some of the world’s most vulnerable communities. *Tax receipt for $4,500 CAD issued for purchases made in Canada, the United States and France. By buying this book, you are helping change the lives of 10 families in some of the world’s most vulnerable communities. The photographs are printed without chlorine on Hahnemuhle 100% cotton paper. 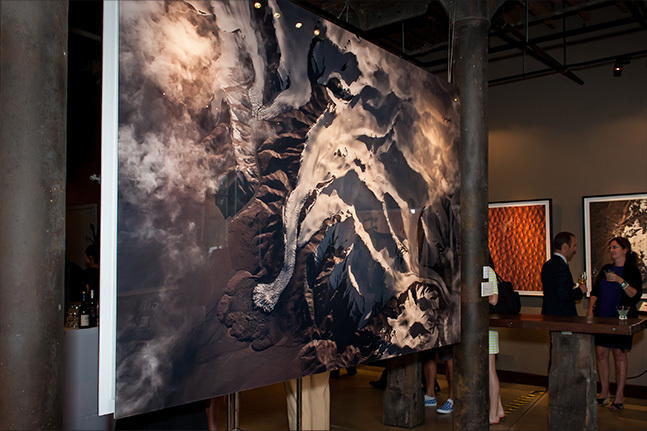 The largest photographs (72" x 108") are mounted on Diasec. Each work is printed in a limited series and is accompanied by a certificate of authenticity signed by Guy Laliberté. One Drop is an international foundation created in 2007 by Cirque du Soleil™’s founder Guy Laliberté. At the core of its mission is access to water, sanitation and hygiene as a transformative force to improve the living conditions of some of the world’s most vulnerable communities. With the objective of delivering long-term impact and sustainability, One Drop brings into all of its projects a unique Social Art for Behavior Change approach that aims at engaging communities in taking ownership and embracing adequate behaviors towards water, sanitation and hygiene. This year, One Drop is celebrating 10 years of bringing sustainable access to safe water to people around the world with projects in 11 countries that will reached over 1 million beneficiaries. To learn more about One Drop, click here. The vast expanse of the Caspian Sea, stretching across 374,000 km2, makes it the world's largest inland body of water. It has a rich biodiversity and is home to many species, not least of which is sturgeon, whose caviar has helped this exceptional place earn its reputation. However, the landlocked nature of the Caspian Sea means that it is a very fragile environment and its ecosystems are vulnerable to degradation in water quality. 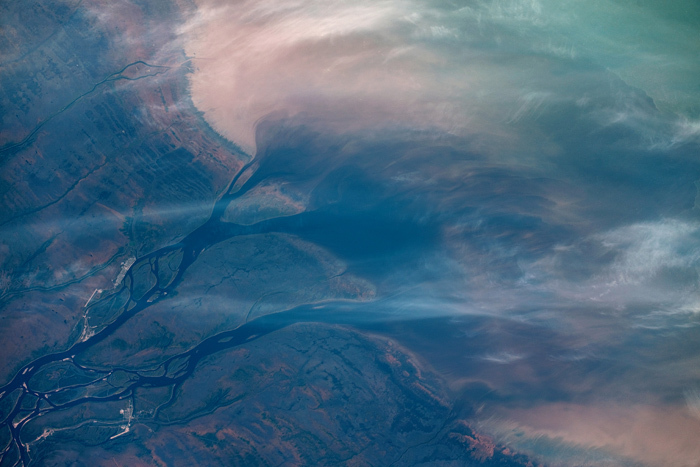 Untreated wastewater discharged by the Volga River, which contains toxic waste from heavy industry, is a contributing factor to the major environmental and health issues posed by pollution. Moreover, the fossil fuel resources in which the Caspian Sea abounds are coveted by bordering countries and oil companies the world over, making the region a vital geopolitical and economic hub. Algeria lies on the shores of the Mediterranean Sea. 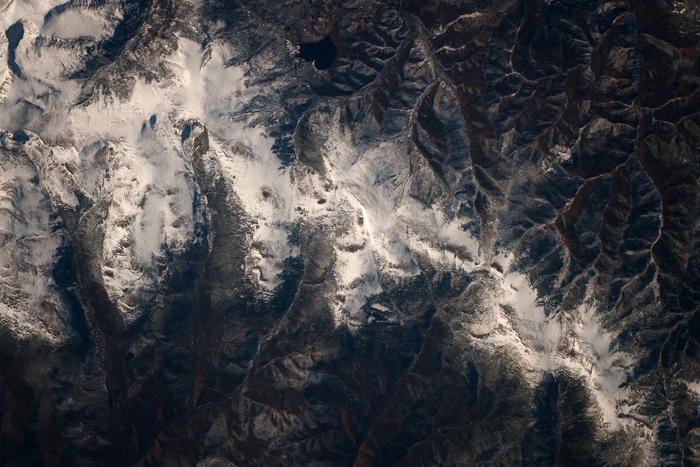 Though mainly covered by the Sahara Desert, the country is very mountainous. The Zehrez Chergui chott is an expanse of salty water located south of Algiers, near Sidi Bakhti. It is a relatively rare wetland in the Mediterranean region, especially given the extent of its surface area and watershed. 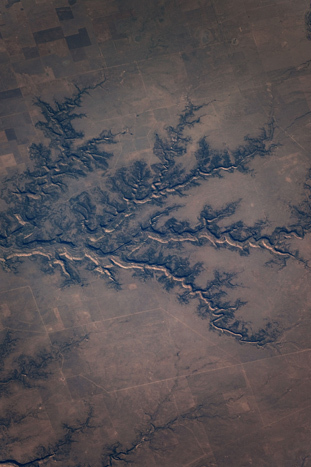 The Zehrez is a vast depression where the waters from many tributaries accumulate, its impervious soil preventing subsurface seepage. Protected by the Ramsar Convention, Zehrez Chergui is distinguished by its rich, diverse fauna including many rare and endemic species. 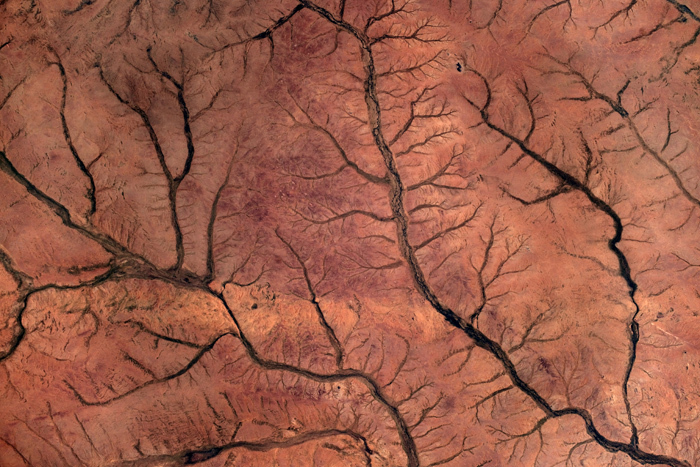 In Angola, water is everywhere and nowhere at once. Its abundant rain and the major rivers that flow across it make Angola one of the wealthiest African countries in terms of water. Twenty-seven years of civil war, however, have left behind damaged, obsolete and insufficient infrastructures. Today, only 42% of Angolans have access to safe water. The winds of change have been blowing across the country for the past few years, though. Supported by international aid organizations, the government is investing significant effort to promote access to water and the adoption of better practices. Communities are gradually mobilizing around this common dream of water for all. Kazakhstan has about 17,000 natural lakes in its territory, including Lake Tengiz, one of the three largest lakes in the country, with an area of 1,590 km2. 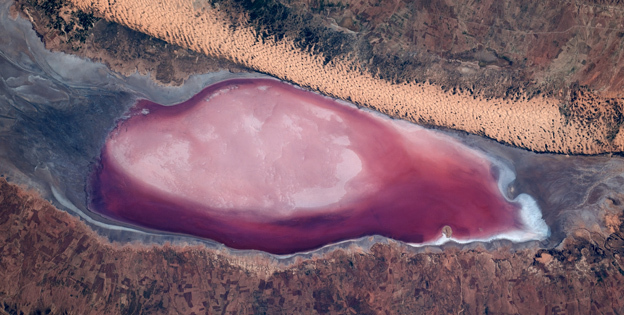 This lake, located in a nature reserve that is a UNESCO World Heritage site, is protected by the major international Ramsar Convention on Wetlands. More than 15 million birds have their habitat in this area of exceptional natural beauty, including 500 mating pairs of Dalmatian pelicans, an endangered species, and 1,300 mating pairs of black-headed gulls. Continual efforts are being made to preserve the precarious ecological equilibrium of their habitat, which is threatened by pollution from the nearby city of Temirtau. 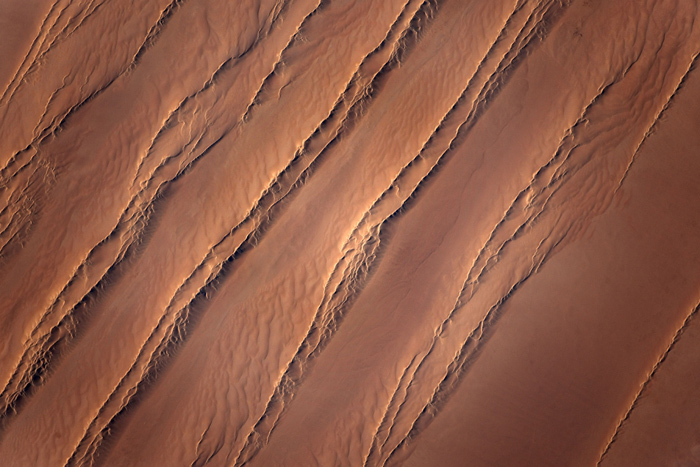 North Africa is one of the most arid regions on the planet, and is also characterized by precipitation that can be highly variable in time and space. 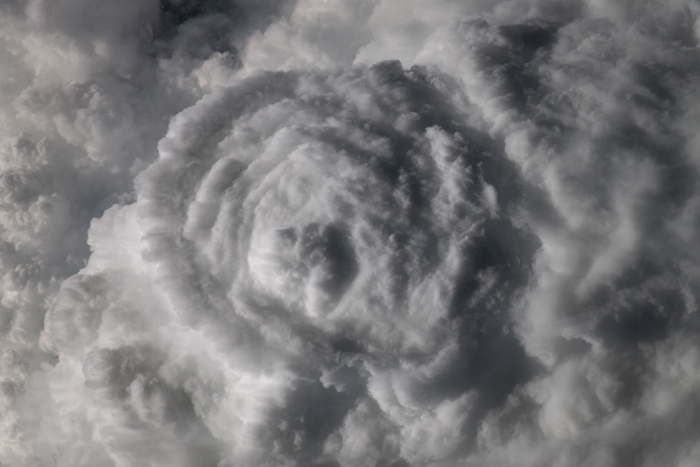 Climate change is already giving rise to devastating cycles of drought and floods, which, coupled with a growing population, are increasing the pressure on resources and rendering populations vulnerable. 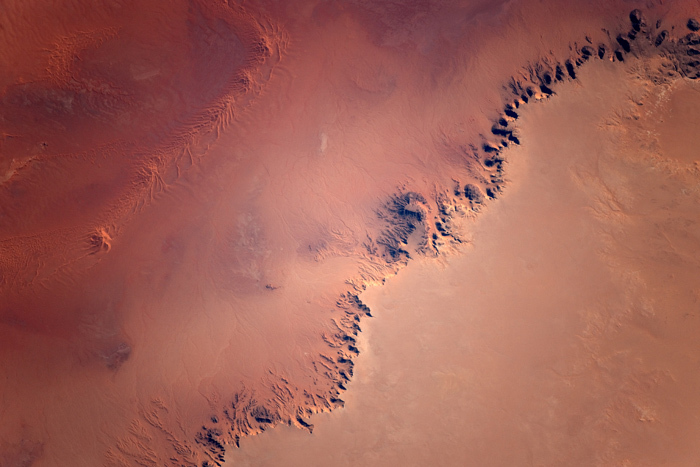 In Algeria, as in Libya, two water-scarce countries, water is an extremely precious resource. Now, thanks to efforts to ensure the sustainable management of limited resources, the vast majority of Libyans and Algerians have access to water. Reconciling the needs of the population, industry and agriculture is nonetheless still a source of daily headaches. A Middle Eastern country, virtually all of whose territory is arid or semi-arid, Iran is highly vulnerable to water supply risks. Despite this, 96% of the Iranian population has access to clean drinking water. Limited water supplies are a part of daily life, and have led to the development of alternative methods that help Iranians make maximal use of these limited resources. 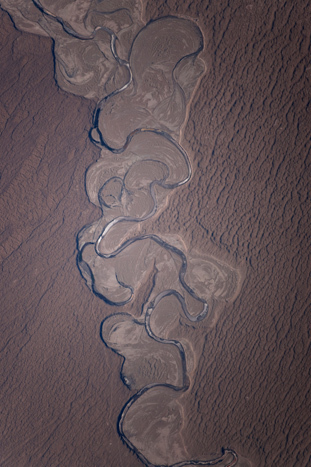 For example, Iran has tens of thousands of qanats, traditional irrigation systems that transport water through underground canals to prevent evaporation. It is partly thanks to these ancient technologies that Iranians are now able to cultivate the earth, and to make small oases spring up in the middle of the desert. 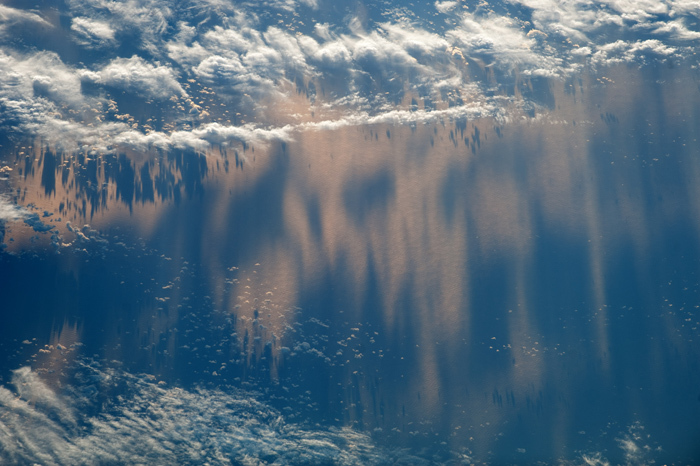 The Gulf of Mexico, known as the “Mediterranean of the Americas,” is the ninth-largest body of water in the world. The ecosystem of the Gulf and its surrounding wetlands are home to countless species of wading birds, migratory birds, fish and shellfish of all kinds. The fisheries of the Gulf are among the most prosperous on the planet. 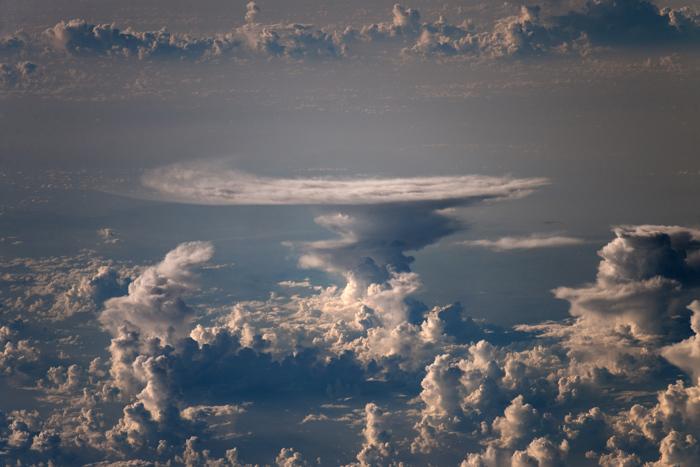 It was at the very heart of this extraordinary biodiversity that the Deepwater Horizon platform exploded in 2010, leaking 200 million gallons of crude oil. The result was an ecological disaster on a scale unprecedented in American history, whose impact on marine life, the food chain and local communities will be felt for many years to come. 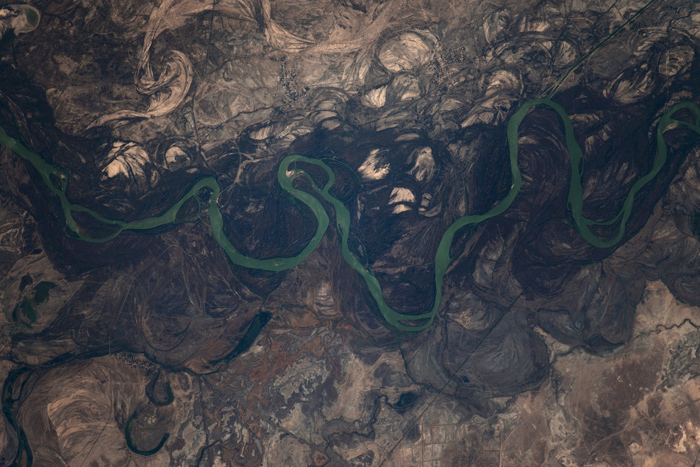 The Syr Darya river, which flows through Kazakhstan, Uzbekistan and Tajikistan, is the longest river in Central Asia, and one of the largest tributaries to the Aral Sea. 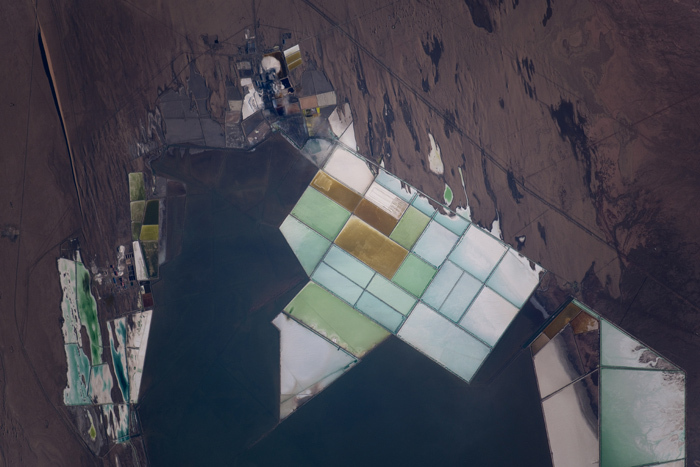 Since the 1960s, the Syr Darya and its sister river, the Amu Darya, have been intensively exploited to supply water for the cotton-growing industry. If these crops are able to grow it is only at the expense of these rivers, whose flow has been considerably reduced , contributing to the depletion of the Aral Sea, which has lost half of its surface area. 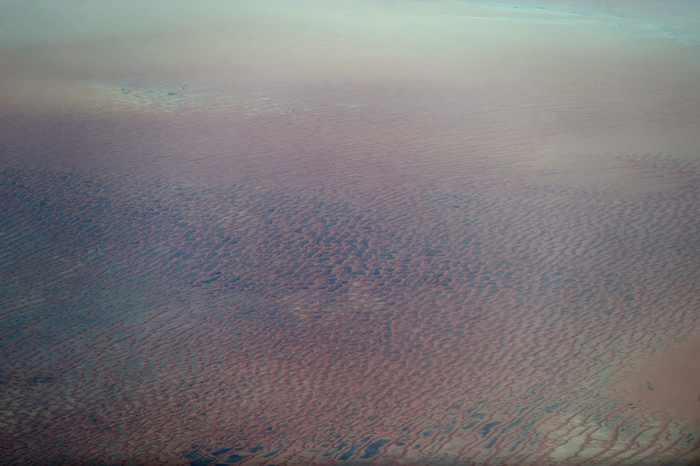 Once one of the largest inland seas in the world, it is now a mere shadow of its former self. 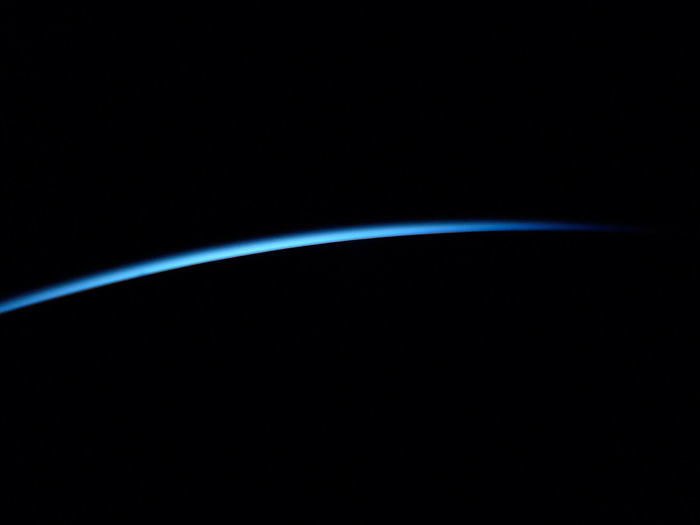 Fortunately, colossal efforts are now being made to save the sea from a feared complete disappearance. Canada has 615 First Nations communities, including the Cree reserves of Fort Albany and Kashechewan, on the banks of James Bay. Fort Albany, founded in 1905 and subsequently dividedinto two distinct communities , has long been an important trading post, a hub for the fur trade. About 2,100 people now live in these two sister communities, blighted by many social and environmental ills. These reserves are particularly vulnerable to climate change due to their geographical location. They have been flooded numerous times by the spring freshet of the Albany river. 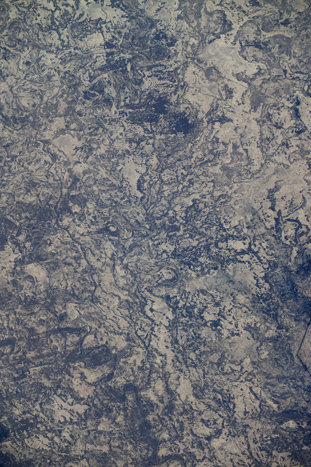 Like many Canadian native communities, the Fort Albany and Kashechewan communities also face problems with the quality of their drinking water, which poses risks to the health of inhabitants. 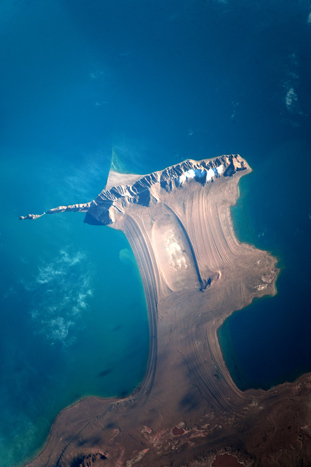 With a surface area of more than 16,000 km2, Kazakhstan’s Lake Balkhash is the second-largest lake in Central Asia. Fed mainly by the Ili River, the western half is fresh water, while the eastern part is salty. 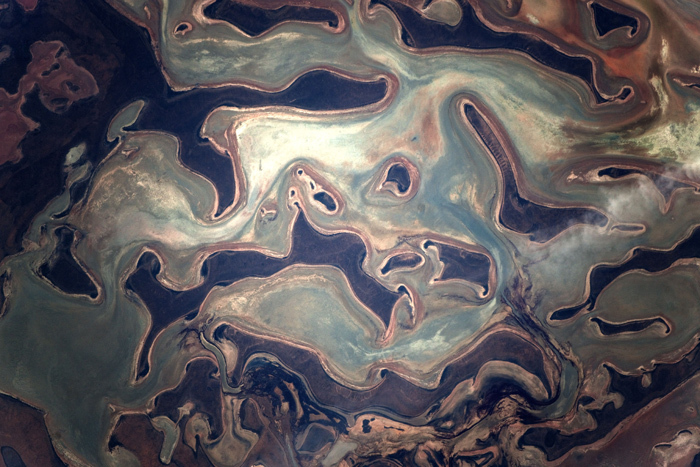 Unfortunately, many experts have predicted a gloomy future for Lake Balkhash. Since 1960, its level has been decreasing as a result of increased evaporation and use for irrigation purposes. 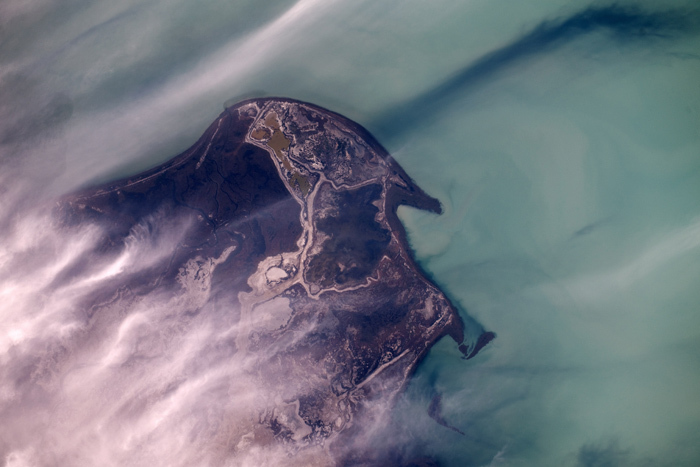 Agriculture, demographic and industrial growth, and the urbanization of neighbouring China all threaten Lake Balkhash, today in danger of drying up. 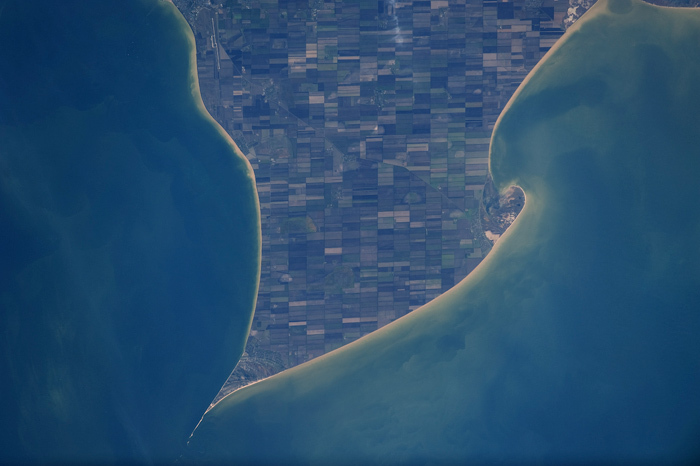 The ancient Greeks called it Palus Meotis or “Maetida,” meaning “fosterer.” The Scythians named it Kargulak for “rich in fish,” and the Maeotae called it Timirinda for “sea mother.” The Sea of Azov is located northeast of the Black Sea, linked by the Strait of Kerch. 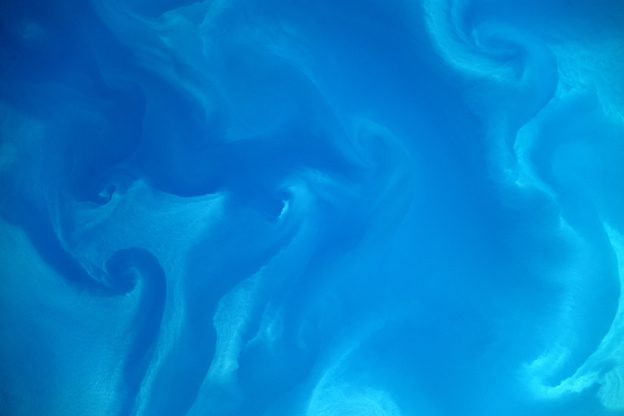 A refuge of thriving biodiversity, this is the shallowest sea in the world. The construction of hydroelectric dams and reservoirs has, however, profoundly changed the marine environment. The Dolgaya Spit is a unique biological environment home to many endemic plant and animal species. Located in the Krasnodar Krai federal subject—known as Russia’s “breadbasket”—it is also a highly productive agricultural zone. 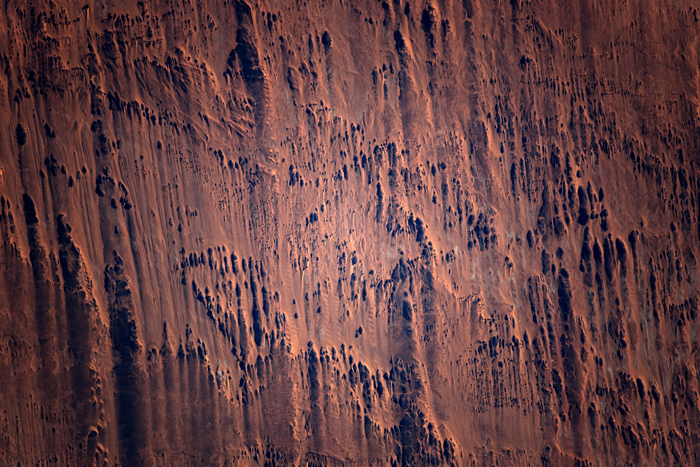 Australia is the world’s most arid inhabited continent. 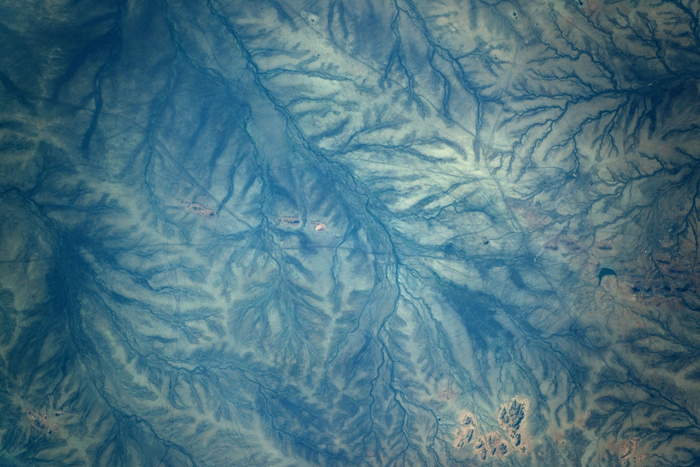 The tropical forests in the north act as desert oases; dunes occupy almost half of Australian territory. Located on the edge of the Great Victoria Desert in the west of the country, the city of Perth struggles with access to water, even though it sits atop a large aquifer. Climate change has led to a major decrease in underground water, formerly the main source of drinking water. Perth must now look at alternative sources of water, and—especially—rethink its relationship with water in order to learn to live better with less. The United Arab Emirates (UAE), a country situated on the southeast part of the Arabian Peninsula, is one of the countries with the lowest availability of renewable fresh water resources in the world. 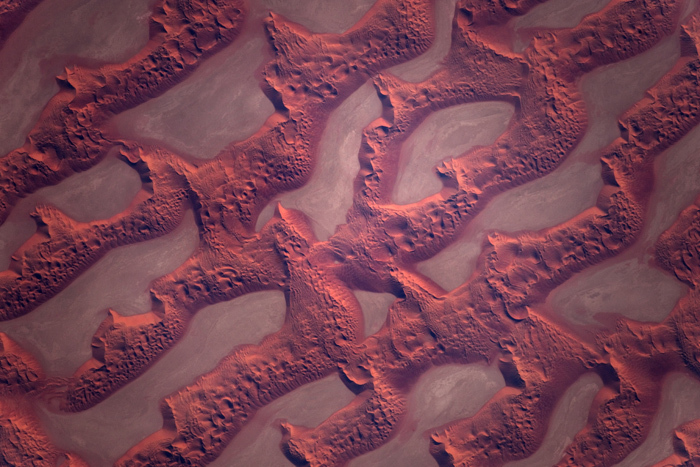 The scarcity of water is characteristic of this region with its arid climate and desert landscapes. While all UAE inhabitants have access to drinking water, this is mainly due to the use of groundwater reserves, whose level has dipped dangerously. 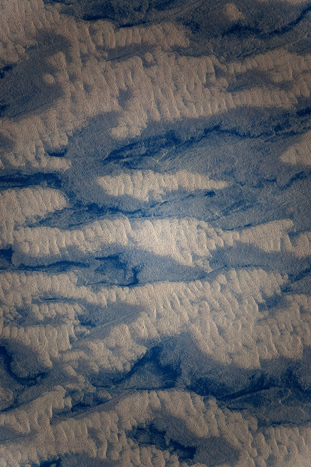 The proximity of the Arabian Sea has led to the development of desalination as a large-scale solution for tackling the problem. While this technology may appear to be the ideal answer to the scarcity of fresh water, it is very expensive and not without environmental risks. 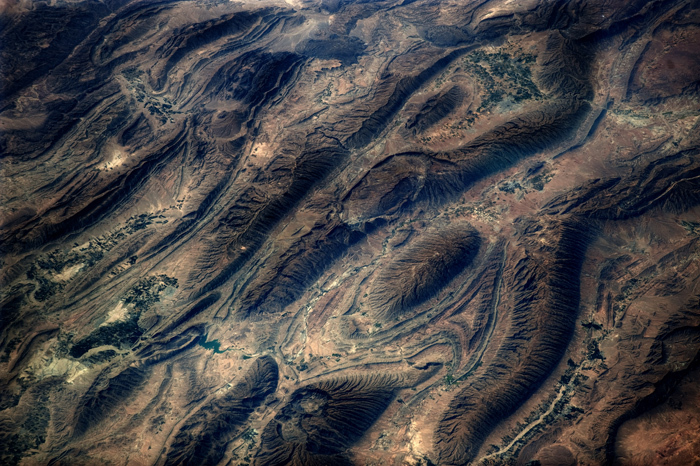 The Qaidam Basin is located in Haixi Mongol and Tibetan Autonomous Prefecture in China. 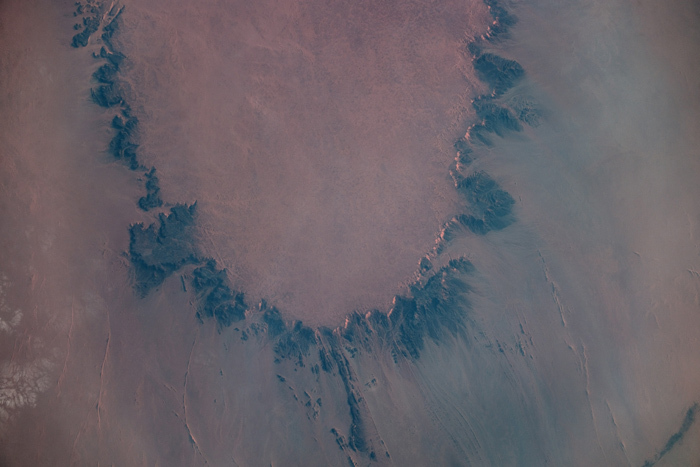 Qaidam means “salt” in Mongolian, in reference to the major salt deposits found in the basin. Aquaculture is a quickly growing industry in this region and elsewhere in China. Its reputation is tarnished by many environmental and public health considerations, mainly due to the contamination of waterways. Sustainable development practices are essential to minimize the negative effects of this mushrooming industry—a solution to meet the increasing demand for seafood without overfishing. 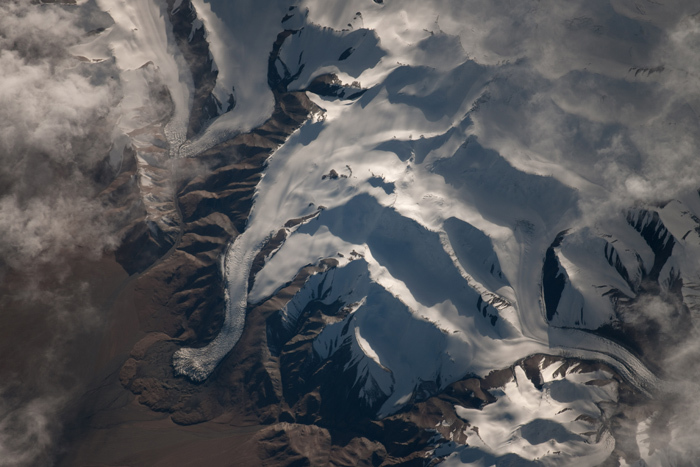 In several places on the planet, the effects of climate change are already very much a reality. In the south central United States, drought conditions since 2010 have been a clear manifestation of climate change, resulting in extreme temperatures and virtually nonexistent precipitation. The impact of these extreme conditions is intensified by orders of magnitude for populations who depend directly on natural resources for their subsistence. In Oklahoma, a state where farming and ranching form the core of the economy, these drought conditions are sowing devastation in fields and grazing lands. The way of life of entire communities is being shaken by this scarcity of water, without which crops are unable to grow. 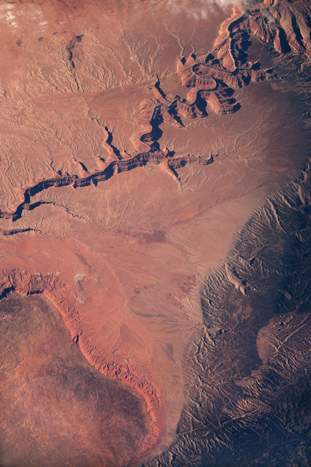 Phoenix, the capital of Arizona, gets almost all its drinking water from the surrounding lakes and rivers. Like all of the western U.S., Phoenix has been experiencing recurring droughts for the past decade. These, along with demographic growth, have increased pressure on water resources. Under climate change, the future of the city is contingent on the sustainable management of water, as required by its inhabitants, industry and agriculture to prosper. For several years now, the conservation efforts of the city and its residents seem to have borne fruit. Per capita water consumption decreased 20% between 1990 and 2007.